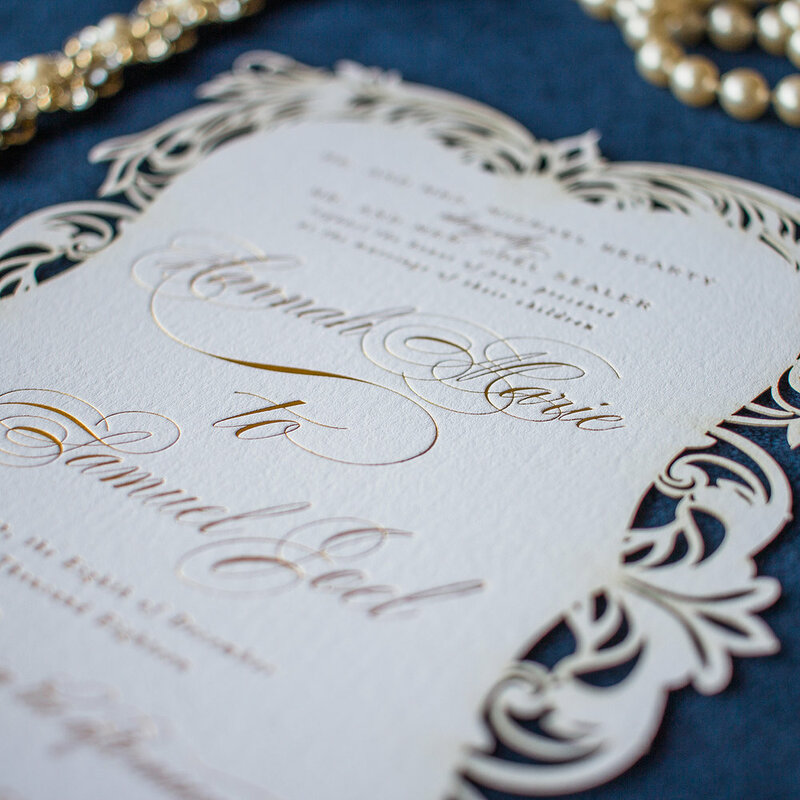 Wedding invitations can set the tone, and sometimes it is the first thing your guests see for the big day. Whether you’re creating a classic and traditional look, or going for more of a creative and whimsical feel having proper guidance is key. These wedding invitation and paper good vendors are artists, and will help you with everything from the type of paper to print on to the wording you need to use. Here are our favorite Kansas City wedding stationery boutiques you NEED to have on your team. Ready? GOOD! YellowBrick Graphics is a custom stationery boutique specializing in save the dates, wedding invitations, and day of paper. We offer many different printing techniques and assembly options for you to customize your invitations to be uniquely yours! In 2010 while living in Alabama, Mickenzie was asked to design an invitation for a dear friend, and thus the first brick was laid. From there, she was flooded with inspiration on bold, inspiring design that would get guests talking. Before we knew it, Mickenzie was working YellowBrick Graphics full time and Gary continued as the dutiful husband, packing shipments, running to the printer, and any other errands he could do to help this wild adventure. Now, almost EIGHT years later we are still going! Mickenzie is still the main designer and Gary handles the logistics and we are loving every minute of it. A boy from Indiana and a girl from Oklahoma, we are a married duo that met right here in the beautiful state of Kansas! Landlocked and together, we spend our days creating beautiful stationery for any event. BP Creative Group is a full-service graphic design studio with a combined thirteen years of experience in the wedding and design industries. 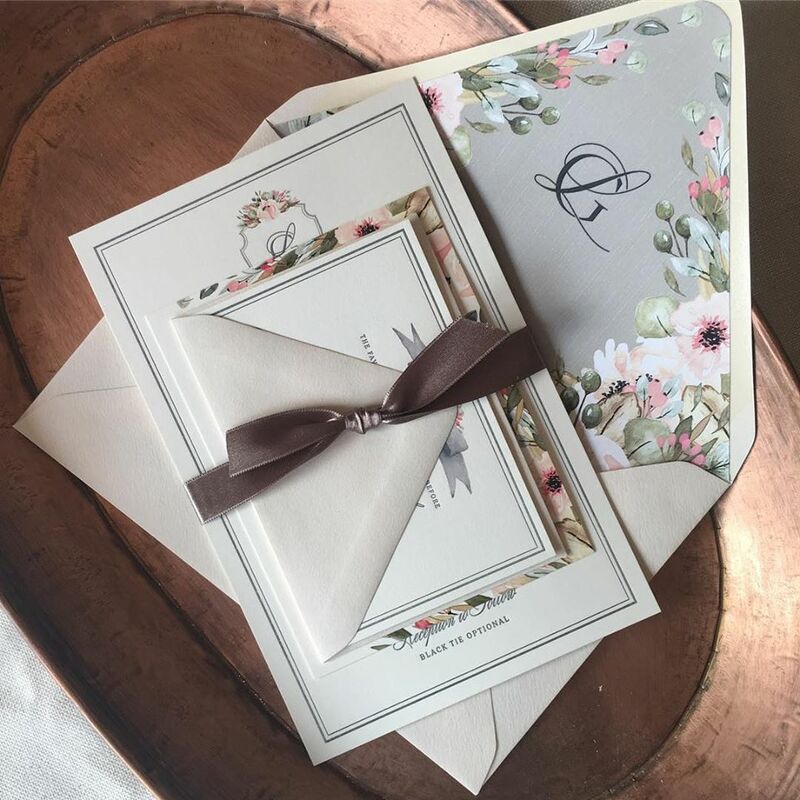 With our expertise in corporate graphic design and nonprofit event design, our luxury wedding invitation suites and custom day-of pieces ensure that your ceremony and reception are beautifully and cohesively branded. We are excited to have recently launched The Wedding Brand Experience™, a white-glove wedding design service that allows you to sit back and relax while we dream up and plan out every single design element implemented throughout your big day. BP Creative Group is laser focused on delivering an experience to our clients and their guests through insightful and intentional design from start to finish. We're thrilled to bring you the third installation of the Interview with a Pro series this week. As we've mentioned before, All My Heart Bridal has always had the goal to educate brides, not just help them find their wedding dress. It is with this same goal that we bring you lady bosses, Samantha and Lauren. These two are doing exceptional work in the Stationary world here in Kansas City, having worked with them on a multiple occasions, we know that any bride would be lucky to have them in their corner! 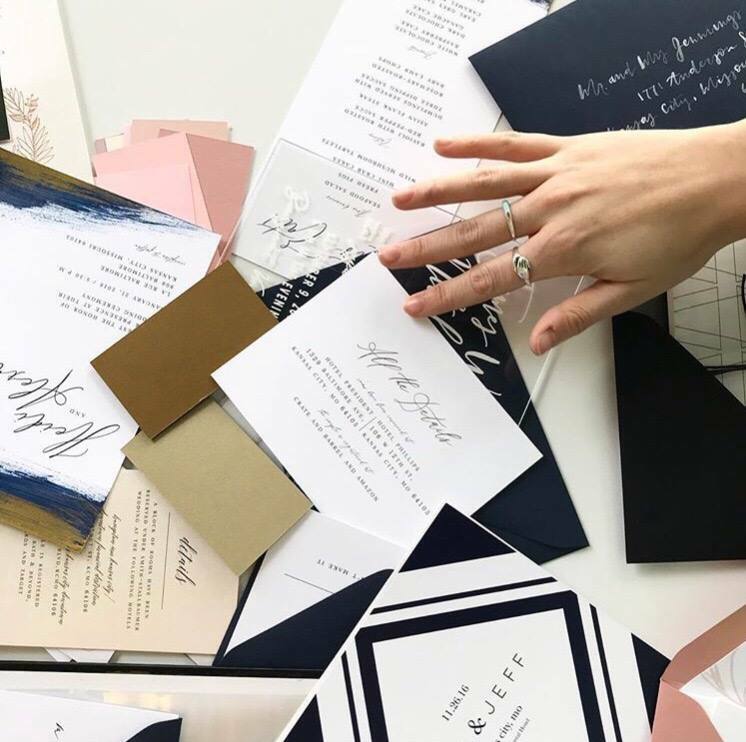 See what they have to say about tips and tricks on making the most out of your invites, save the dates and other stationary for your wedding. Hi! We’re Samantha & Lauren from East & West Designs. We create wedding invitations and custom stationery items. We love working with brides and grooms to make their paper items for their wedding day super special and personal! We met at Kansas State University getting our Bachelors of Fine Arts degrees in Graphic Design. While at K-State, we both discovered that we wanted the same future: owning our own business. After realizing how much we loved designing wedding invitations for our friends and family, E+W was born! Sharing a business with your best friend is the best thing we could have ever done. We bounce ideas off of each other, we trust each others’ strengths, and we just have a good time (and we think that translate to our work). Everything we create is made with love for love and that is so rewarding! Start with some good old Pinterest research. You’ll so sooo many ideas out there so don’t feel like you have to find exactly what you want. That’s the beauty of customized invitations; they’re made just for you. Figure out what’s really important to you! If you really love the idea of calligraphy on your envelopes, we can adjust the budget to make that happen! Texture: we love a good felt, linen, or alternative paper! A Pop of Color: adding a bright enveloped or painted belly band makes a huge statement! Wax Seals: wal seals on everything. Enough said.